Last season was a year of unprecedented roster turnover for the Mercury. 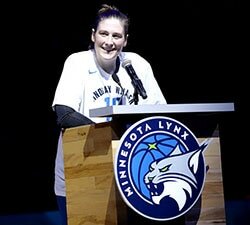 They opened the season with Diana Taurasi, Brittney Griner and 10 new faces on the roster. Powered by their All-Star duo, the Mercury finished the season 18-16 and earned the fifth seed in the WNBA Playoffs. Griner had a breakout season, as she led the league in scoring average (21.9 ppg) despite missing eight games due to injury. Taurasi became the WNBA’s all-time leading scorer. While the rest of their roster was different than the year before, the playoff result was not. For the second straight year under the new playoff format, the Mercury advanced to the semifinals, where they were swept in three games. After they fell to Minnesota in 2016, it was Los Angeles that ousted the Mercury last year. The three-time champion Mercury keep getting to the doorstep of the Finals, but they have been unable to break through against the top two teams in the league. Can 2018 be the breakthrough year for the Mercury to get back to the biggest stage? Griner is coming off her best season as a pro in Year Five of her WNBA career. She was an unstoppable force on the inside at both ends of the court. 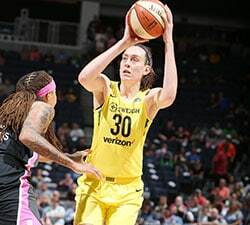 Taurasi may be entering the twilight years of her career, but she has shown no signs of slowing down despite being just two games away from 400 for her career, a mark only three other active players have hit. Plus, the Mercury get a familiar face back in the lineup as DeWanna Bonner returns after missing 2017 for giving birth to twins. Phoenix has had another busy offseason, as it acquired point guard Briann January from Indiana in exchange for a 2018 first round pick (No. 8 overall). The Mercury got back into the first round by dealing point guard Danielle Robinson to the Lynx for their No. 12 overall pick. It is one of four picks that the Mercury have in the draft (Nos. 20, 21 and 26 overall) as they look to add depth to the roster. 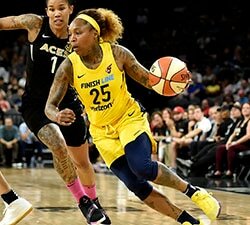 The team was also busy in free agency, re-signing Camille Little, Yvonne Turner and Emma Cannon as well as bringing in former All-Star forward Sancho Lyttle. As for draft strategy, much will depend on which players are available at the end of the first round. Despite having the 6-foot-9 Griner on the court, the Mercury were the third-worst rebounding team in the league last season (48.1% rebound percentage). 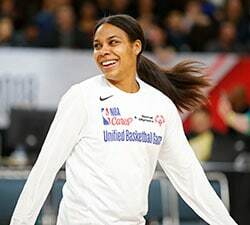 Lyttle should help with that need, but adding another big that can rebound and complement Griner would suit them well.